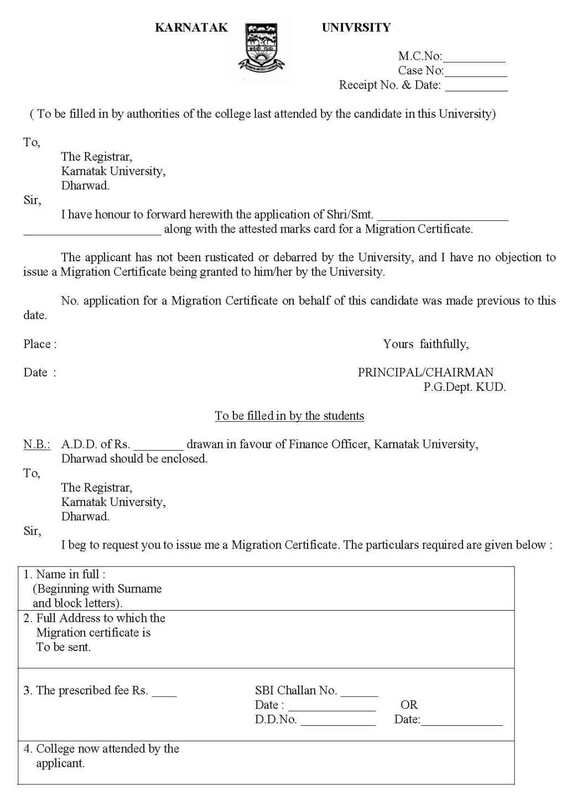 Please tell me how I can get Migration Certificate from Karnataka University for getting admission in any other college/ university ? 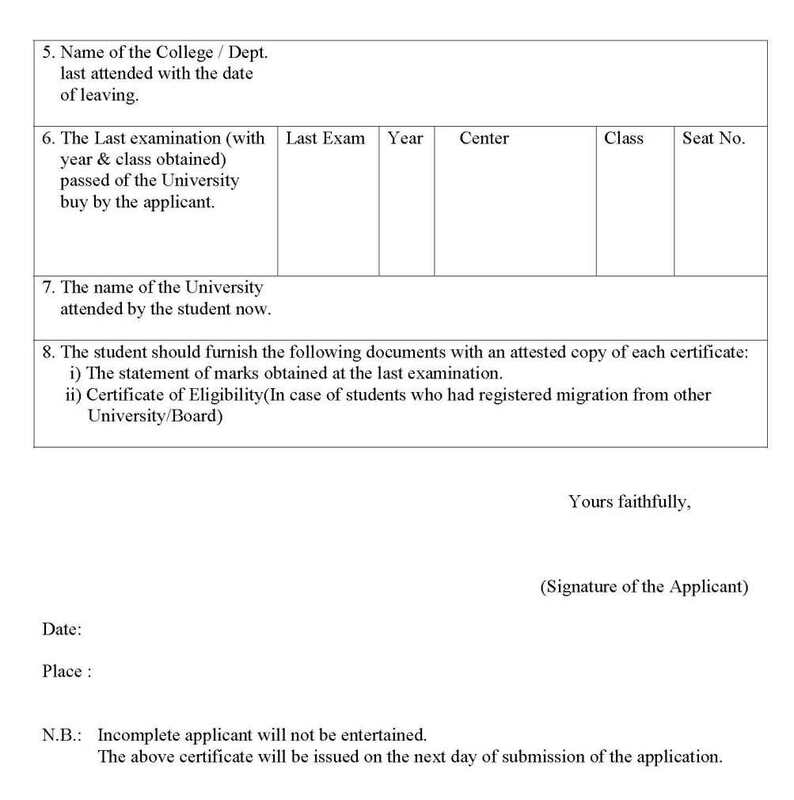 Hey , you want to get Migration Certificate from Karnataka University for getting admission in any other college/ university for the same first of all download application to avail Migration Certificate. Fill that application form completely . Submit fee for getting migration certificate . Submit it at student section . After 2 -3 days you can get migration certificate . Will have to fill up the form online or not?